I subscribe to a bunch of literary journals. They pile up in our bathroom. Alimentum, Glimmer Train, and One Story are the ones sitting next to our bathtub now. The stories in them are rarely page turners, and I never read them cover to cover but there's usually at least one story, essay or interview that is worth reading, keeping and talking about. One Story only publishes stories. You pay $21 a year and they send you a story every three weeks. Sometimes I start reading the story and it starts so slowly that I put it down, never to pick it up. 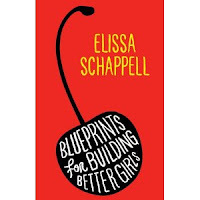 But this week, One Story sent a terrific short story, "The Joy of Cooking" by Elissa Schappell, one of the founding editors of Tin House and a contributor to Vanity Fair. 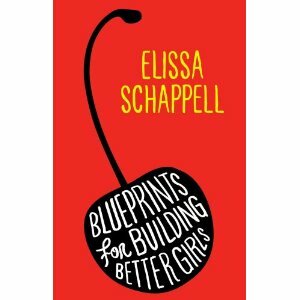 The story is part of Schappell's new short story collection, Blueprints For Building Better Girls, due out in September. The story consists of a phone conversation between a middle aged, divorced mother and her anorexic, twenty-something daughter. There are poignant flashbacks, and you get the feeling that these two women were part of a happy family, once upon a time. The ex-husband is a philandering bum, there's another sister who is in med school and sounds pretty perfect, the mother is just starting to date, and the daughter on the phone has had an extremely disturbing but occasionally comical approach to food for years. During the course of the story, the daughter attempts to cook for the first time what she thinks is a chicken. She calls her mother for advice. Her mother would like to give her advice but she'd also like to make it to yoga class. Still, she walks her through the recipe, which requires plenty of butter, lemon, yarn, a needle and memories, as each woman struggles to give the other woman some combination of love, reassurance and a reality check. Their relationship is agonizing, funny and familiar. I was halfway out the door when the phone rang. Another person would have let the machine pick up, but you know how it is when you’re a mother. “Thank God you’re there,” my daughter Emily said, sounding out of breath. I looked at the clock: 4:00. Yoga started at 4:30. After yoga, provided I wasn’t bleeding or paralyzed, I was planning to pop into the drug store and buy new lipstick. Something youthful but sophisticated, with shimmer. My mother always said that a woman should have a signature lipstick the way a man had a signature cocktail. I’d married and divorced Emily’s father, Terry, in Cherries in the Snow. After the new lipstick, I was going to treat myself to an overdue haircut. Something new, possibly even a little racy. I’d been toying with the idea of bangs. Then, at 6:30, I was meeting Hugo, the new man shelving the philosophy section at the bookstore where for the last fifteen years I’d been working as a cashier and bookkeeper. I had shaved my legs. It was just coffee, but let’s just say it had been a long time between cups of coffee. 1,825 days to be exact. Five years. Not that I was counting. Schappell's story reminds me of this wonderful quote that I read in The New York Times Book Review several years ago. The writer Emily Nussbaum was reviewing the poet Deborah Garrison's second book of poems, The Second Child. Nussbaum didn't love the book, and argued that Garrison's work had become too sweet: "In real life, I'd rather have a likable next-door neighbor than a bipolar goddess as a confidante. But in writing? Give me the strange mother over the sweet one any day." It's a pleasure to read about a strange mother and her daughter in Schappell's story. I am subscribing NOW! I've been looking for new reading material. I miss having short stories and other bits of literature drop in through my mailbox. Thanks.